The Red List of Theaceae, the tea family, was published by the Global Trees Campaign today and identified more than a third of the world’s Theaceae species are threatened with extinction. 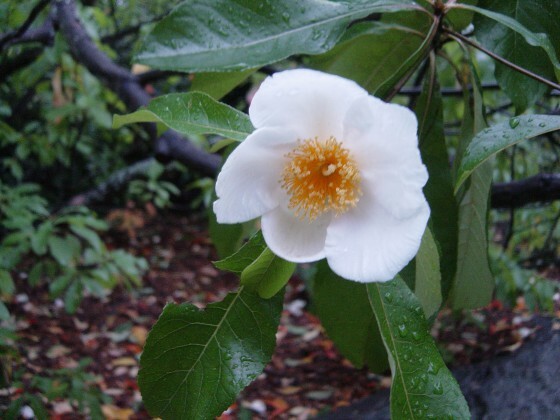 Sadly, two species of tea, Franklinia alatamaha and Camellia amplexicaulis are already Extinct in the Wild, highlighting the urgent need for conservation action. The report also found that Camellia sinensis, the source of much of the world’s tea, has been assessed as Data Deficient, due to a lack of available information on the species wild population, despite its global cultivation. Across the world, many people start their day with a warm cup of tea often derived from this species, or another close relative in the Camellia genus. Equally, many gardens have these showy flowers to give a burst of winter colour. However, the new Red List of Theaceae published today revealed that 45% of Camellia species are at risk of extinction in the wild. Two-hundred and fifty-four Theaceae species were assessed for this publication, which identified that 85 (equivalent to 33%) species are threatened with extinction. With the majority of these species (32) assessed as Critically Endangered. Unfortunately, two species were identified as Extinct in the Wild; the Franklin tree (Franklinia alatamaha) has not been seen in its native USA since 1803 and Camellia amplexicaulis is now considered extinct from Vietnam. Lesser known genera such as Stewartia, Pyrenaria and Polyspora were most frequently assessed as Data Deficient, with many only known from a single herbarium collection. The report identified deforestation, due to widespread agricultural expansion, as the greatest threat to the survival of the tea family species. In addition, the timber species in the family are widely utilised, putting many species at risk from logging in the wild. Tea species can also be at further risk from over extraction for collections for the horticultural or health tea market, due to lack of sustainable use and harvest. 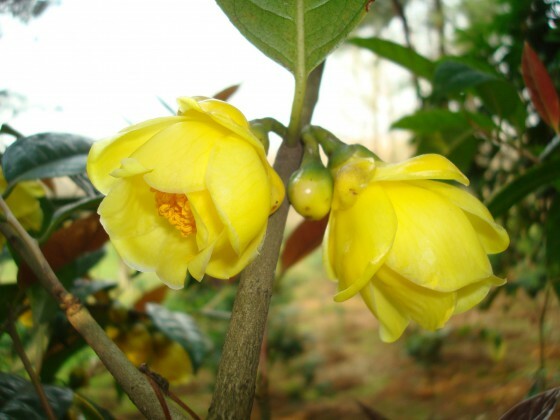 For example, Camellia nitidissima and Camellia euphlebia, two threatened species, known as golden camellia, were over harvested for tea within Guangxi, China. However, a GTC supported project established nurseries of the species to harvest from, thus protecting these golden camellias in the wild and simultaneously improving the livelihoods of local farmers and villagers. The Red List of Theaceae offers the opportunity to prioritise global conservation efforts towards the most at risk tea species. Already GTC are working in Taiwan to conserve the Critically Endangered and endemic Pyrenaria buisanensis where seed collections of the species have been made and an outreach campaign is in progress. For full details on the global status of Theaceae read The Red List of Theaceae report, which includes a full ex situ survey. Global Trees Campaign are working hard to support our aim of assessing all of the World’s tree species through the Global Tree Assessment. So keep your eyes peeled for more tree red list publications coming soon. Hero image: Camellia hongiaoensis Data Deficient species from Viet Nam. Credit: Anthony Curry. Megan is the Red List Conservation Assistant at Botanic Gardens Conservation International (BGCI), working on the Global Trees Campaign contributing to IUCN Red Lists and communications. Previously she was involved with Global Trees Campaign as an intern working to complete GlobalTreeSearch. Thanks for the. Work you do would. Suggest. Alliance with other nature groups, nature conservancy,sierra club,etc. I am very interested in, and support, the aims and projects of the Global Trees Campaign. However in the article above: ‘Two of the world’s tea species extinct in the wild according to new report’ the top image is not of Camellia amplexicaulis (from northern Viet Nam) as intimated but rather a relatively new species from southern Viet Nam Camellia hongiaoensis. Hi Anthony, Sorry for the confusion. I will add a note at the end of the article to clarify that the hero image is Camellia hongiaoensis (DD) and your photo. Thank you very much for your help with the assessments. During the Middle Ages, Yew wood was used to craft long bows and spears as the timber was both strong and elastic. This led to the exhaustion of Yew forests once widespread across Britain.